Look at that ‘Boost’ button. It’s calling you. Facebook make advertising so easy, don’t they? But is it really that simple? Hitting the Boost or Promote Page buttons without planning is a gamble. Sometimes it works, at others, it feels like a waste of money. I think you already know that the Boost button isn’t the best way to advertise on Facebook but where do you even start with ‘ads manager’?. What do you need to run a campaign? How do you optimise what you are doing for better results? Preparing elements ahead of setting up a campaign will help you optimise your results so you have a better chance of success which means, more sales and a better return on your ad spend. 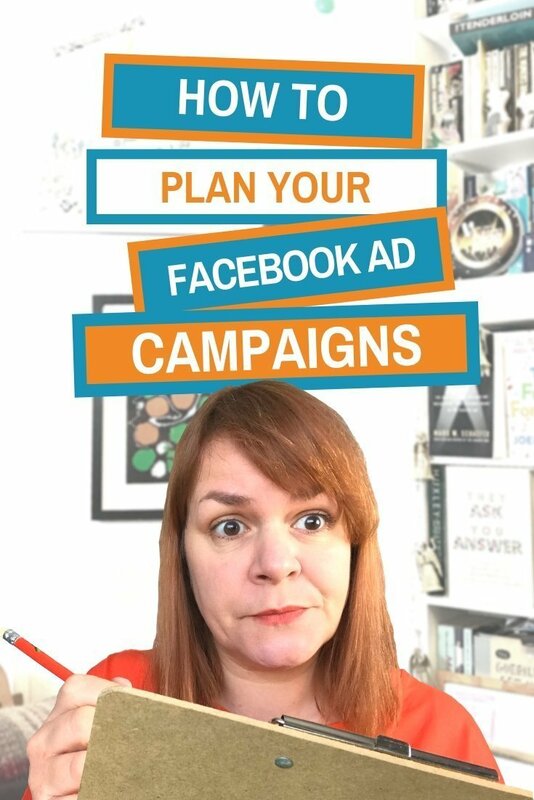 Successful Facebook ads campaigns start with content. 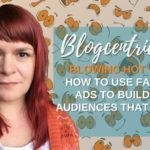 Good content will help you build ‘warm audiences’ to target your ads to. (more on audiences later). Your content could be a video tip a blog post or consistent posts on your Facebook page that appeal to your target market. When a member of your audience consumes this content, it’s a good signal they are the right fit for your business. The next step is to re-target those people with sales ads knowing they are your ideal customers. A landing page is a specific page on your website you send people to when they click your Facebook ad. If you send your audience to a services page or a homepage, you are asking way too much. They may have clicked through in a hurry, they don’t have time to search your site for what they want. A great landing page for your Facebook ads should match your ad. Use the same, or similar imagery and branding so that your audience recognise they are in the right place for the ad they clicked. Who do you want to target with your ad? The better you know your ideal customer the easier it is to create a Facebook ads audience that matches them using interest targeting. 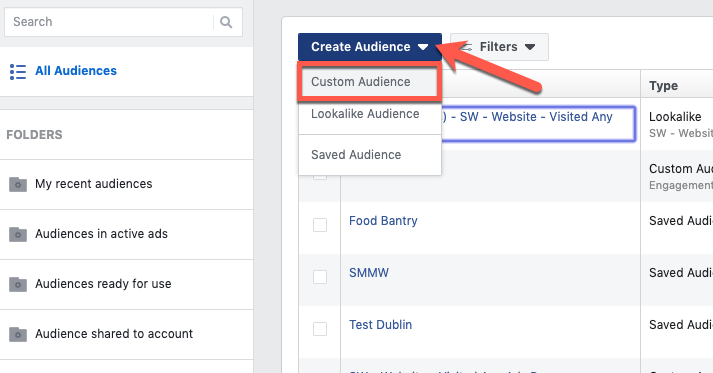 You can create your interest or saved audiences before setting up a campaign by clicking the ‘Audiences’ tab in Facebook ads manager. Saved (interest and demographic targeted) audiences are a great starting point but they are ‘cold audiences’, people who have never had contact with your business before. To warm them up, you need to get them to view your content (see step 1). You can also create warm audiences from your ‘Audiences’ tab on Facebook ads manager. Choose ‘Custom audience’ from the drop-down. 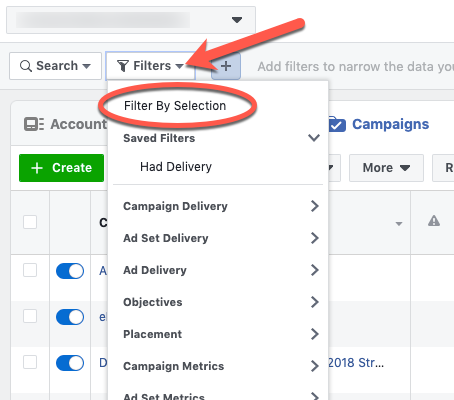 Before I get onto the next preparation tip let’s take a quick look at why you might create different versions of your ad. When you boost a post on Facebook there is just one version of your ad going out to your audience, the one you boosted from your page. When you create an ad in ads manager, you can create different versions of the same ad. This helps your ad performance in 2 ways. 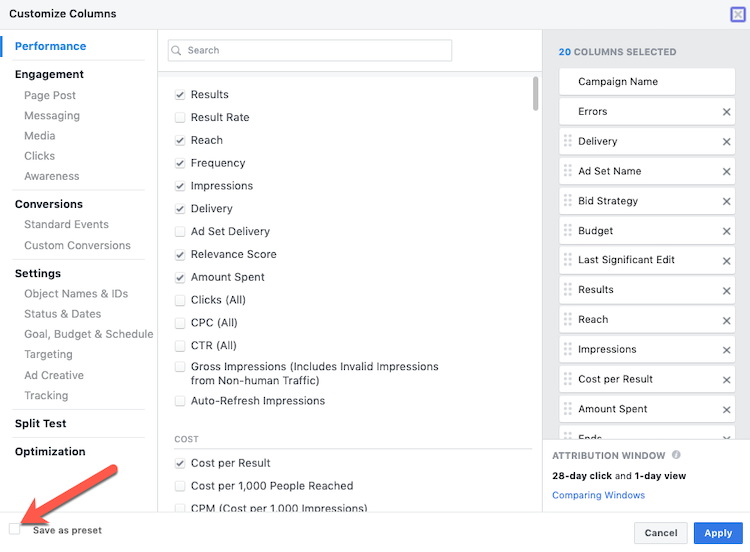 Facebook will show your ads to people more than once. If you have a small audience, this can mean they see your ads so many times they get annoyed. If you place different versions of your ad within an ad set, members of your audience will see different versions of your ad rather than the same one repeatedly. This reduces the chance of your audience getting fatigued. Note: Keep an eye on your frequency, if it’s getting above 2 per person on a single ad it’s time to freshen it up. It’s a kind of auto-optimisation that will help you get more from your campaigns. Images and video are the key to stopping the scroll. If you can catch someone’s eye with your image you are on the way to a successful ad. Always create 2 different versions of your visual elements. These can include images, videos and carousels. 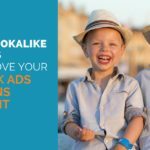 This gives you at least 2 versions of your ad to combat fatigue and to let Facebook test. If you are using the ‘Story’ placements you should also create graphics that fit the 9:16 format so they look organic. Your image stops the scroll, the caption you use to accompany your image seals the deal. Good copy will get people to take action. You have two visuals for your ads you should also create at least 2 versions of your text giving you four versions. I have a formula that helps me kick-start my ad copywriting. 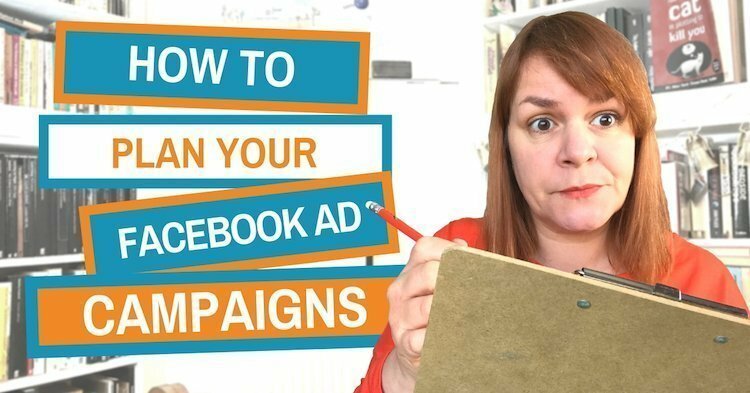 Facebook ads are hard work, you don’t always have time to keep up with the changes, to come up with great ad copy and to know if it’s all set up properly. Is it time to outsource this task? Hire me to manage your Facebook ads for you and you can get back to doing the real work in your business. Write as many versions of your text as you can until you can think of no more and pick the best 2 for your ads. The Facebook tracking pixel serves 2 purposes. When the pixel installed on your site you can re-target all the people who visit, People who visit a specific page or the people who spend the largest amount of time on your site. These are the warm audiences I talked about earlier and are easier to sell to than your cold, interest-based audiences. Add a line of code to your thank-you page and Facebook will tell you if someone has bought something, become a lead or a subscriber from an action they took on Facebook. 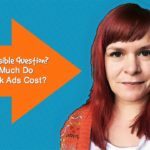 People ask me all the time how much ads will cost. There’s no simple answer. The cost per click, engagement, conversion or video view can fluctuate depending on the business, the audience, the placements or even the time of year. I recommend a minimum budget of €5, £5 or $5 a day but for higher ticket products and services you’ll need to go higher. This initial budget will help you test to see what works and what doesn’t. 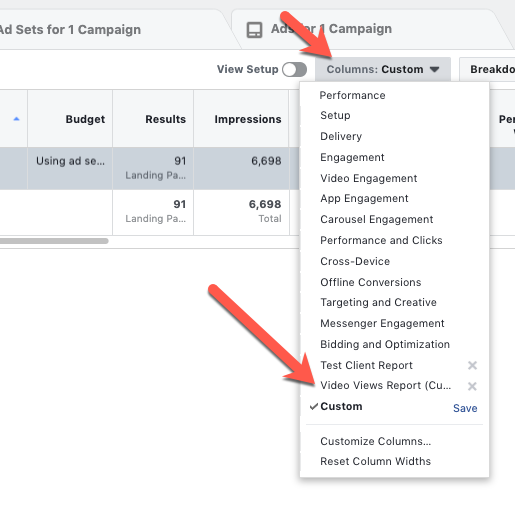 If you’ve ever tried to navigate a Facebook ad report, you’ll know it can be a head-wreck. By creating custom reports you’ll be able to find the information you need fast. Now select the metrics that are most important to you. You can delete the ones that you don’t need and shuffle them according to preference. Before you close the window click ‘Save as preset’ and give your report a name. When you go to view an ad report select your custom report name from the drop-down menu. That’s all 8 of my tips. 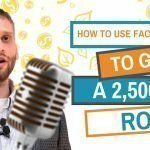 Success with Facebook ads isn’t always quick and easy. Put these preparation steps into action and you’re optimising your campaigns for better results. You’ll quickly see if they are working. The result, better ads and more sales.